Isn’t it time to look past the plate? This month, you can show your support for the farmers and producers who make good food happen. 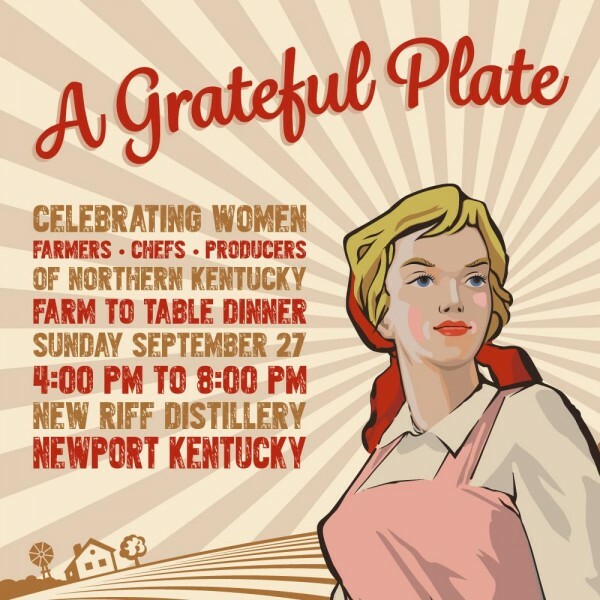 Follow your foodie instincts to the New Riff Distillery for A Grateful Plate, where women farmers, producers, and chefs will collaborate to create ten courses (think New Riff gin cocktails, pickle stations and a biscuit bar, pork shoulder, lamb pierogies, and a host of other goodies) to benefit the Community Farm Alliance. The event takes place on September 27 from 4-8pm, and the $125 tickets are available here.